It is widely accepted that invariant and discrete phonological units at the linguistic level are transformed into variable and continuous movements of speech organs, which in turn results in equally continuous acoustical results. The variability of phonemic units depends on neighbouring phonetic units, but also on the various linguistic, communicational and pragmatic contexts of a particular speech act. The influence of phonetic units upon each other results in adaptations, coarticulations and assimilations. By means of assimilation at least one distinctive feature of a phoneme is changed, so the observed phoneme becomes similar to its neighbouring sound – the assimilation operator. This paper is aimed at analysing the influence of speech rate on assimilation processes in the voiced fricative /z/, when it is preceded by sounds /s, z, ʃ, ʒ / in four different types of articulatory joint: sentence, clausal, lexemic and proclitical. The articulatory joint refers to the production of two phonemes separated by different types of linguistic boundaries. 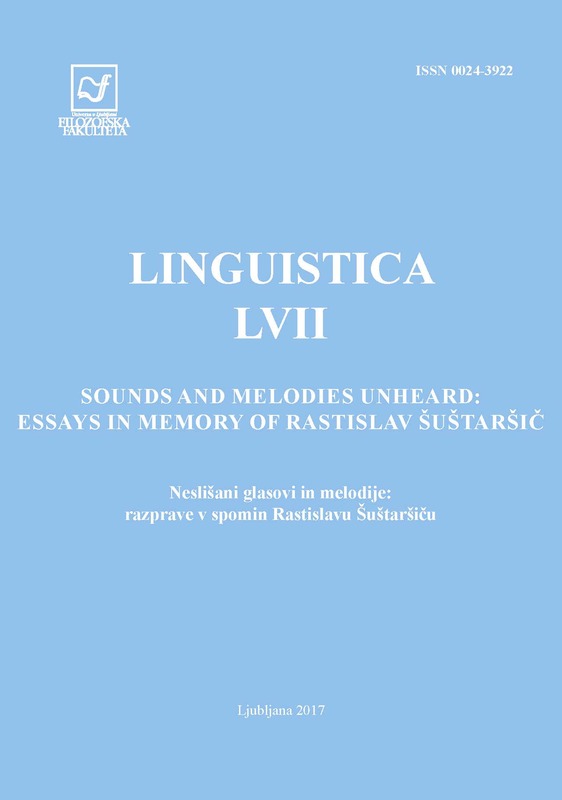 Twenty female native speakers of Croatian with no history of speech or hearing impairments read a text at both natural and fast speech rates. The acoustical recording was performed in a sound-treated room. The Praat software was used to analyse six variables in all occurrences of the sound /z/: duration, spectrum centre of gravity, standard deviation of the centre of gravity, spectral skewness, spectral kurtosis, and harmonic to noise ratio. The results showed that various linguistic boundaries, speech rates and sounds as assimilation operators influence the degree of assimilation of the phoneme /z/, as measured by the acoustic variables.